Written and directed by Shane Black, “The Nice Guys” (2016) is a buddy cop comedy that recreates the spirit of Black’s “Lethal Weapon” series. While I might be jumping the gun on this one, it’s a box office failure and it’s relatively forgotten due to two Marvel films and a Seth Rogen comedy releasing the same month. These factors, in my opinion, make it a recent cult movie. Set in the 1970s, Holland March (Ryan Gosling) and Jackson Healy (Russell Crowe) search for a missing girl. While following any leads available, they stumble upon a national conspiracy that they take upon themselves to unveil. 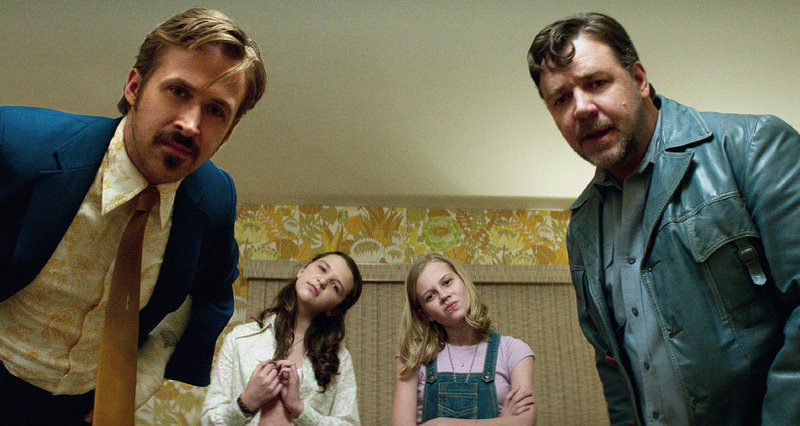 With the right mix of heart and wit, “The Nice Guys” properly entertains the audience while developing its characters further instead of leaving them as boring stereotypes that have no arc whatsoever. This is partly due to Gosling and Crowe having a perfect chemistry that sells every scene they’re in. I’d recommend “The Nice Guys” to practically anyone; it’s a nostalgia trip to the old buddy cop films of the ‘80s and ‘90s that I think is direly needed in this time of cinematic universes, Michael Bay style action films, and bland stoner comedies. Plus, I’d recommend it as a great case study for any aspiring screenwriters on how to utilize wit without overdoing it.